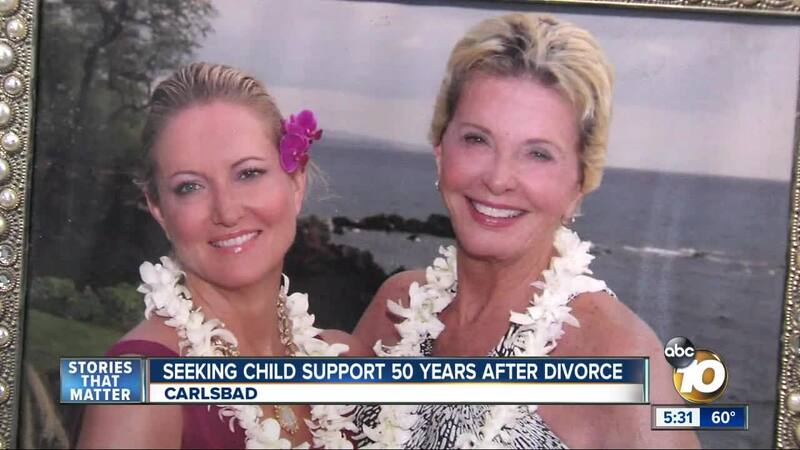 CARLSBAD, Calif. (KGTV) - A North San Diego County woman was awarded child support from her ex-husband nearly 50 years after she says he left her with a young daughter. Toni Anderson makes no apologies for going after the man she calls her "deadbeat ex" for having her raise their 3-year-old daughter on her own. Anderson says her ex-husband chose to go to Canada rather than pay court-ordered child support in the early 1970s. Anderson admits she rents her part of the house. And now that she's retired, money is tight. Then it dawned on her.